Check out a new portal that helps consolidate data about smart cities to create a common ground for new initiatives. At the back end of 2017, a study by Deloitte was published into the value open data has released at Transport for London (TfL). The analysis reveals that the opening up of data by TfL has generated approximately £130 million for the London economy. Better plans – A further £20 million was estimated to be gained from better-planned journeys, which in turn resulted in more journeys being undertaken. It’s part of a wider body of work being undertaken by the Greater London Authority (GLA) to liberate data in the city. Central to this is the London Datastore, which aims to open up the data held by the GLA for people to use for free. London is one of the more advanced cities in Europe in terms of data sharing. A recent study from the European Data Portal examined the level of ‘open data maturity’ across the EU and Norway, Switzerland and Liechtenstein, who are referred to as the EU28+. If smart cities are to develop, it’s crucial that a pan European approach is taken, and the Sharing Cities portal aims to facilitate that. They aim to provide a proving ground for a common approach to smart city development. It will support collaboration both between industries and cities to aid affordable and scalable solutions with a continent-wide market. A good example of the potential comes via a recent tool developed by the European Commission’s Joint Research Centre. The tool contains data on 10,000 urban centers around the world. It’s believed to be the most comprehensive database ever published on cities. The tool highlights just how urbanized the world has become. In both Africa and Asia, for instance, the urban population has doubled between 1990 and 2015. There are now over 400 cities around the world with at least 1 million residents, and 32 with over 10 million inhabitants. The tool provides fascinating insights into the behavior of these cities, and there are promising signs for the environment. For instance, it emerged that cities have become 25% greener in the last 15 years, with the trend of urban air pollution reversed after growth in the 90s. It’s part of a suite of environmental factors monitored by the tool, including the ‘greenness’ of the city, the air pollution levels and the vicinity to protected natural areas. The tool, which is free to use, aims to apply big data alongside a people-based definition of cities, providing key support to the sustainable development agenda across the EU. 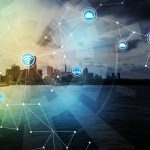 We’re still at a very early stage in smart city development, and a report from the Institution of Engineering and Technology suggests that the public are still not convinced by potential benefits, but hopefully the more showcase projects like this are unveiled, the more convinced people will become.